On Wednesday at the Farnborough Airshow outside London, Virgin Galactic formally announced its smallsat launch vehicle concept, called LauncherOne. The system features a two-stage rocket carried aloft by Virgin’s WhiteKnightTwo aircraft and released, much like Orbital Science’s existing Pegasus and Stratolaunch Systems’s proposed rocket. Virgin announced that they have already lined up several customers for LauncherOne, who have paid deposits for launches expected to start in 2016. They include Skybox Imaging, a company planning a series of commercial remote sensing satellites; GeoOptics, a company that plans to observe occultations of GPS signals to study the atmosphere; Spaceflight Inc. (apparently a reference to Spaceflight Services), which aggregates smallsat payloads for launch; and asteroid mining company Planetary Resources. In addition, Virgin said that two smallsat manufacturers, Surrey Satellite Technology Ltd. and Sierra Nevada Space Systems, would develop versions of their smallsat buses optimized to the design of LauncherOne. This is not the first time Virgin Galactic has talked up a smallsat system: when it announced nearly three years ago an investment by UAE-based Aabar Investments, that deal included $100 million for development of a smallsat launcher much like what was announced today; even the LauncherOne name was reported, albeit unofficially. That effort went onto the backburner, though, as the company focused on the suborbital system. Today’s announcement notes that Aabar has provided “substantial funding” for LauncherOne, but doesn’t mention an amount and whether the company has provided any more funding than that original $100-million tranche in 2009. Virgin Galactic has also received one of several Airborne Launch Assist Space Access (ALASA) awards from DARPA to develop a low-cost airlaunch system. How revolutionary it will be, though, is open to question. 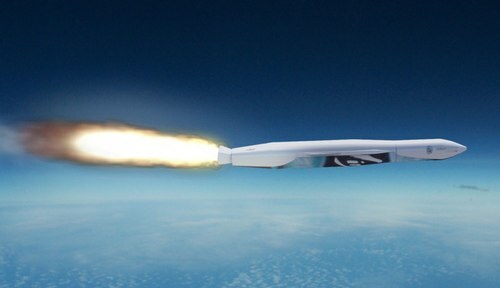 Airlaunch systems aren’t new, with various concepts having been proposed over the years, as well as Orbital’s Pegasus, which has been flying for over two decades. Pegasus hasn’t won much business because of its price, estimated to be on the order of $30 million. Several years ago, SpaceX was going to open up the smallsat launch market with the Falcon 1, which originally was to launch about 600 kilograms to LEO for $6 million; the payload capacity later declined to about 420 kilograms as the price increased to around $9 million. Later, the Falcon 1e was to provide approximately 1,000 kilograms for $11 million, but the company withdrew the vehicle from the market, citing limited demand. While Virgin does have customers lined up, as it announced today, its prices may have to fall significantly below $10 million per launch to sustain demand over the long term, given the vehicle’s performance and the history of previous smallsat launch efforts. I guess it’s possible that the demand for such a launcher has moved on since SpaceX decided to focus on larger payloads. IIRC VG’s original ambition was $1 million per launch? (although, to be fair, I think they said they didn’t know whether that would be achievable) So either the less than $10M is very conservative, or a lot has changed. I want VG to succeed, so if they can get significant extra revenue from this great – but as you imply unproven yet. Small satellite market is unfortunately a myth. Small sat are mostly government funded, and with all the budget cuts, best of luck.